What additional training in dentistry and sleep medicine does he have? What is his philosophy for treating his patients? What does Dr. Stummer do for fun? 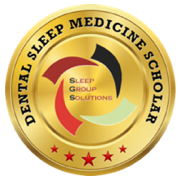 When is snoring indicative of health issues? How can Dr. Stummer tell if snoring is something more? What can he do to help his patients with snoring concerns? How can sleep treatment improve my health and quality of life? Stummer Dental has two locations to serve you. Our main office is in Kenosha and our second location is in Racine. Click the location that is closest to you. You can contact us with any questions about our practice and services by phone or e-mail. We are IN NETWORK providers for Cigna, United Healthcare and Delta Dental Premiere. We accept ALL major insurance. Our staff is happy to do estimates and send in claims for our patients. You can now take advantage of our Grand Opening Special. Click on the link below to find out more!